As a Marketing Strategy Agency, our strategies, based on the principles of Dual Process Marketing, are robust, proven and are the best guarantee any business can have that your investment in marketing will deliver the results you want. For almost 20 years, we’ve been helping businesses gain clarity about what marketing can do. Our clients say we’ve changed their businesses for the better and this ebook shows how we do it. How do you build a marketing strategy that creates a platform for sustained growth? What is the best way to tell the story of your business? What are the key brain systems involved in creating a successful marketing strategy? Top 10 questions to ask before you investing in marketing? 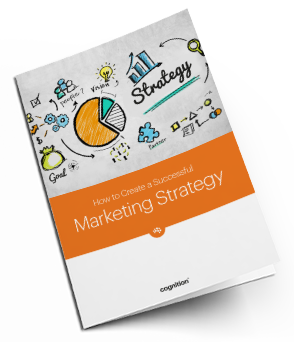 This fascinating and business-changing ebook is a Masterclass in effective marketing from Cognition – the leading UK agency specialising in creating an evidence-based Route to Growth. What stops businesses getting value out of marketing?